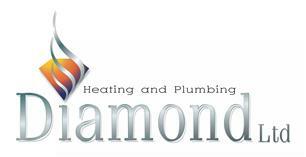 Diamond Heating and Plumbing Ltd - Central Heating Engineer, Plumber based in Rainham, Kent. Established in 2006, Diamond Heating and Plumbing Ltd are a family run business based in Rainham, Kent, with more than 30 years’ experience. Since that time we have steadily grown into one of the most respected Heating, Plumbing and Gas specialists in Kent. We are able to carry out work on both natural gas and LPG. We specialise in boiler/system breakdown repairs and system wiring and controls, and are very experienced on all major boiler brands, Vaillant, Worcester, Baxi/Potterton, Ideal etc. We are a growing company, and pride ourselves on the fact that more than 70% of our work is repeat business, or recommendation from our existing customer base. Many of our customers have been with us for years and regularly recommend us to friends and family. Our aim is to provide a quality service at a realistic price. Give us a try. I genuinely believe you will not be disappointed. Finance options available on any Boiler installation, or larger system repairs. All ME and DA postcodes.